Kids Bowl Free (KBF) is a nationwide program where kids get to bowl two games for free every day during the summer at their local bowling alley. The Kids Bowl Free program is a great way to get families to spend time together and stay active during the summer months. If you're looking for more fun and free summer activities for the kids, check out the free summer movies for kids, free summer reading programs, and free roller skating passes for kids. I also have some free summer coloring pages and word searches that are great for a rainy summer day. Visit Kids Bowl Free and select your state from the drop-down list to see a list of bowling alleys in your city that are participating in KBF 2019. Select your local bowling alley to see all the details of their Kids Bowl Free program. After you've selected your local bowling alley, look on the right side of the page, where you'll see all the details for this particular bowling alley's Kids Bowl Free program. You'll see the dates and times available for free bowling, the terms and conditions, and whether there will be a fee for shoe rentals (some alley's offer unlimited shoe rentals all summer long). Age requirements are further on down the page. Each bowling alley has different bowling times and requirements, so be sure to read this for the particular bowling alley you want to visit. 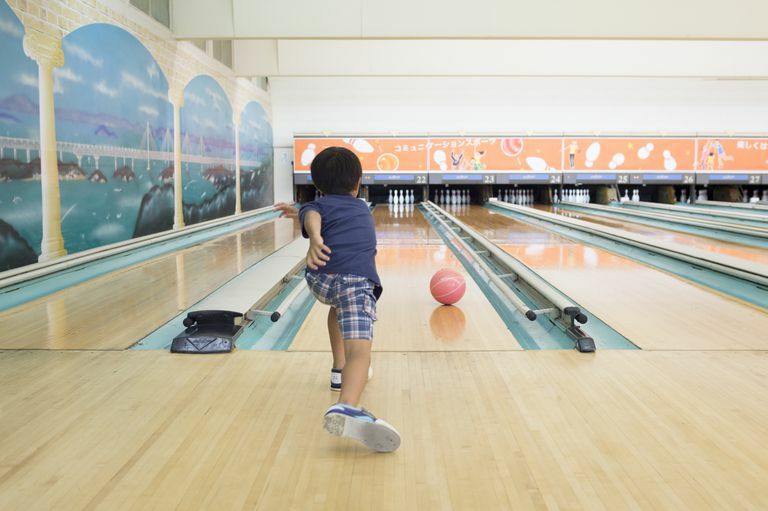 If you have multiple bowling alleys offering free bowling for kids, be sure to visit each of their pages to see which program is a better fit for you. If you have any questions, call before you go so you have all the details. Use the bowling alley's page to fill out the registration form to register your child for the free bowling. You'll need to enter your name, address, phone number, email, and names and birthdays of the children who want to take part in the free bowling this summer. Tip: If you don't see your local bowling center listed, that means they're not participating. There's a form you can fill out to suggest to the Kids Bowl Free program a new center that you'd like to have included as an option in the future. Each Sunday morning during the open dates of the program, you'll receive an email from Kids Bowl Free with links to your coupons for the week. You'll need to print and bring with you these coupons to the bowling alley where you registered. You also have the option of getting your coupons sent to your smartphone or tablet if you'd like to go paperless. Take the coupons to your local bowling alley during the period they accept the free bowling passes, and show them to an employee to redeem them. Keep in mind that you may still need to pay for shoe rental even though you have the free bowling passes. There's also a fee for anyone who doesn't fit the requirements of the free bowling passes. The KBF program is open to select bowling alleys in the U.S. and Canada. You can only select one bowling alley per account but are welcome to open multiple accounts. Check each bowling alley's registration page for information on things like dates, times, ages, and shoe rentals, because they're all set individually by the bowling alleys. For example, some alley's start the Kids Bowl Free program in March and others in June, some that I checked weren't yet open for registration while others had been for months, and the alley might require lane reservations. Group outings and birthday parties cannot use the free bowling coupons. The free bowling coupons can't be combined with any other discounts, coupons, or specials.